This mostly solid sequel is a return to form for the series and just stellar enough to make it a must-see for fans of summer popcorn fare, no matter your age. 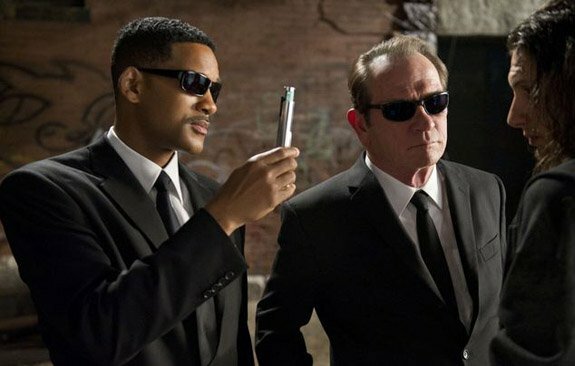 It’s been 15 years since the first incarnation of the Men in Black hit the big screen, enough time for a whole generation of kids to have been without a chance to see the other two movies on anything but DVD. It may seem like an odd choice to dredge up this old horse of a franchise that seems positively quaint compared to the kind of summer movies that get released nowadays, yet for those moviegoers who have already seen The Avengers three times, and don’t want to have to blow the money on the earplugs required to sit through Battleship with their hearing intact, Men in Black 3 is a solid choice that will more than meet their popcorn cinema needs. The bizarrely ageless Will Smith (how ironic would it be if he was actually an alien himself?) returns as Agent J who’s still happily protecting the earth from unruly aliens alongside his ornery partner Agent K (Tommy Lee Jones). J is a little frustrated with his monosyllabic partner who refuses to share the basics of his daily life even despite their long and successful working relationship. When a ferocious alien named Boris the Animal (“It’s just BORIS!” he keeps angrily insisting) escapes from a super-max prison on the moon (it’s about as well guarded as the space prison depicted in Lockout), K mysteriously disappears overnight and J has to puzzle out exactly what sort of bad blood exists between Boris (played by Jermaine Clement) and his close-mouthed and now non-existent partner. It soon becomes evident that Boris has managed to time travel back to 1969, the year of his capture by K, and warn his younger self about what the future holds. J decides to travel back to hook up with the younger K (played eerily pitch-perfectly by Josh Brolin) and help him defeat Boris for good, thus ensuring future K’s continued existence. It’s a smart story choice to set the majority of the film in 1969 as it offers lots of opportunity for sight gags and fish-out-of-water hijinks while introducing some new blood to the cast without disrupting that status quo for fans of the series. It also ensures that the film keeps our heroes front and centre, rather than simply as straight men to a truckful of computer-generated aliens, the main problem that sunk the second film in the series. Both Brolin and Clement turn in fantastic, transformational performances that almost make you forget you’re watching a Men in Black movie, and Smith is his usual affable self, anchoring the film with obvious glee to be back on his old stomping grounds. Director Barry Sonnenfeld and writers Etan Cohen and David Koepp have created a mostly sharp film that is able to balance its sillier high-camp moments with a handful of genuine emotional revelations and real human connections. Sure, the majority of the jokes are only mildly amusing rather than laugh-out-loud funny and the 3-D feels less than necessary (what else is new? ), but it’s a fun ride nonetheless. And more importantly, it’s a film that will easily please little ones as well as their adult accompaniment. 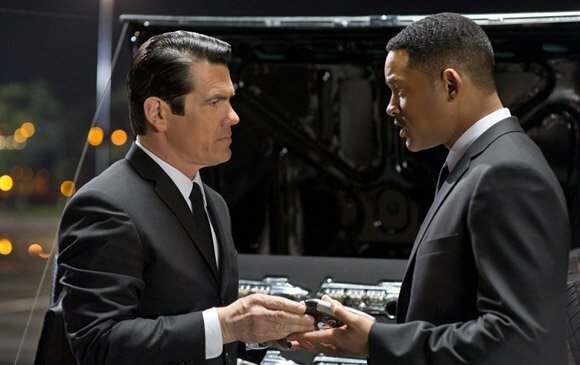 In other words, Men in Black 3 is not quite out of this world, though it is stellar enough to warrant your movie dollars this weekend.